Ellsworth began piano studies shortly after his 6th birthday in 1964 and after 12 years received his Certificate of Piano Study and Theory from the John Mason Evans Hasslinger Studio (Hasslinger himself was a graduate of the Peabody Conservatory in Baltimore, MD). Between the ages of 11 and 28, Ellsworth also studied cello, guitar, and voice. He also performed in several bands from 1976 on including Tailwind, Sabre and Logos Affinity. Ellsworth received a B.A.in Film/Video production from the University of Maryland and continued there with graduate studies in Communication Arts. During this period he began scoring short films and local cable programs. 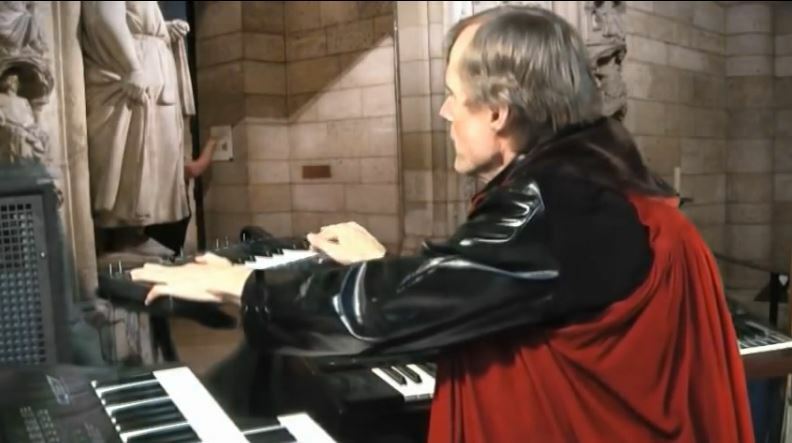 In 1987 a movement from his first Piano Concerto appeared in a video production by Johns Hopkins Hospital and from that time on Ellsworth began devoting much of his time to scoring music for film and video. 1989 saw the release of the first CD from Affinity Music Library to which Ellsworth contributed a great deal of material and he continued to compose for subsequent releases. He received his C.P.M.S. from Johns Hopkins University in 1991 and in 1994 he and partner Mark Van Natta began scoring for multimedia productions in addition to film and video. Clients included Johns Hopkins Hospital, Princeton University, PHH Corporation, Banjo Software and FLX Software. He left Affinity Music Library in 1999 to focus on video production and custom scores (with at times, sound effects). Clients include Diadem Productions, Conrad Brooks Productions, Eileen Gillan and Associates, Cisco Systems, Baltimore Mental Health Systems, Stanion Studios and Flyboy Film Productions. In the band realm, Ellsworth recorded the eponymously titled Aethellis album in 2002-2003 on his own and began performing the album tracks live in 2004 with his Aethellis band (which includes former Affinity Music Library partner Mark Van Natta). A follow-up Aethellis album, Northumbria, was recorded with members of the live band and released on the Melodic Revolution Records label in late 2011. Ellsworth continues composing soundtrack music for various projects. Albums of his soundtracks are in release; the most recent is the soon to be released Conversations with George Edgar Selby featuring a new recording of his Piano Concerto no.1 as well as the music soundtrack to Beside the Manor Selby (a production which he wrote, directed and scored).